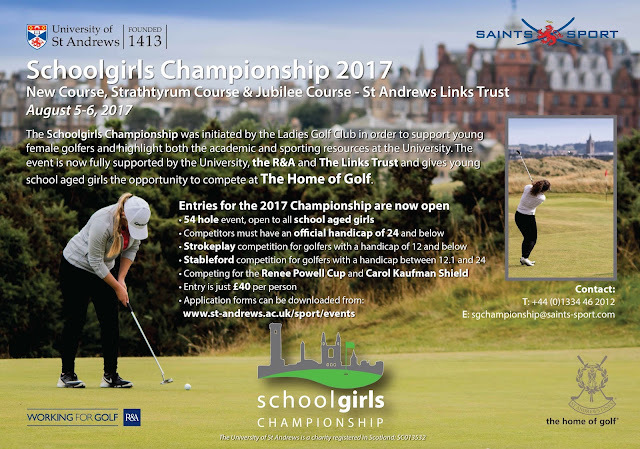 The University of St Andrews and the University of St Andrews Ladies Golf Club take great pleasure in inviting school aged girl golfers to compete in the annual University of St Andrews Schoolgirls Championship. 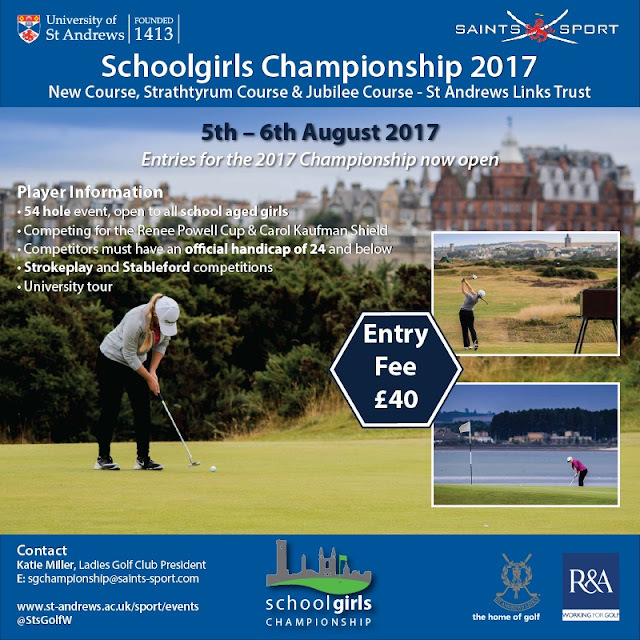 Previously known as the Scottish Schoolgirls Tournament, the event has since expanded considerably and is now fully supported by both the University, the R&A and The Links Trust. The University and the Ladies Golf Club both recognise the need to support young female golfers and to highlight both the academic and sporting resources the University of St Andrews has on offer. The championship, therefore, not only seeks to endorse the University, but also to promote Ladies golf, both in Scotland and internationally across the wider golfing community. This year’s championship will take place on 5th and 6th of August 2017 and will be run as a Strokeplay competition for golfers with handicap of 12 and below and Stableford competition for golfers with handicap between 12.1 and 24, ensuring that girls of all standards will be competitive. 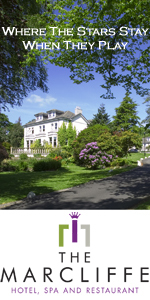 We welcome applications from all schoolgirls, including immediate school leavers and pre-matriculated University students. 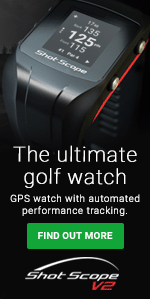 All competitors must have an official handicap of 24 and below. The entrance fee of £40 will cover all green fees on the New, Strathtyrum and Jubilee courses, post-match teas on Sunday, a University guided tour and prizes. Accommodation will be available in University Halls of Residence over the weekend for both players and parents and a link for making bookings will be made available to all successful applicants in due course. Please could you bring this exciting event to the attention of girl golfers at your school or club and ask them to return their completed application form, which is attached with this letter, to sgchampionship@saints-sport.com. 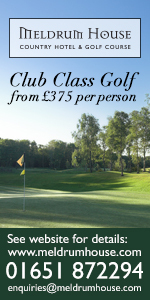 For more information please visit the sport section of the University website: http://www.st-andrews.ac.uk/sport/events/ or contact the Ladies Golf Club. Please note that the closing date for entries is 1st of July 2017, and the number of players will be limited to 40. All late entries will be considered only under special circumstances. In the meantime do not hesitate to get in touch if you have any questions. We look forward to welcoming you to St Andrews in August.